Ever since I launched Monster Movie Kid back in October 2012, I’ve always made sure I gave plugs whenever possible for my friends in the podcast community and beyond. Now, I get a chance to do it again but this time, I get to introduce someone a little closer to home. Ladies and gentlemen, allow me to introduce my daughter and budding artist, Kayla Chamberlain. And I think some of her work will interest many of you. Several years ago, Kayla gave me a fantastic Father’s Day gift. She painted Superman’s “S” with the word “Dad” underneath. Flash forward to 2015 and now, I have two more of her pieces in my office/library with a third waiting for a spot in our new home. 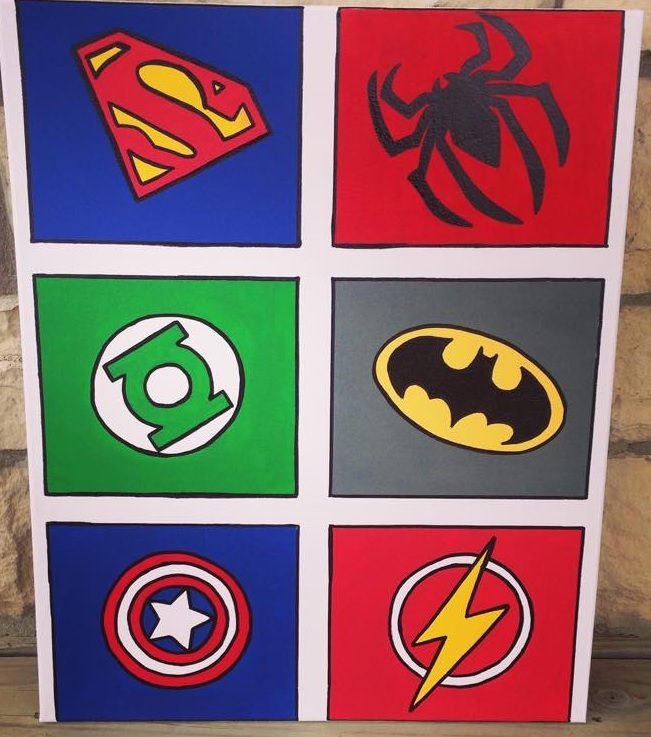 Kayla recently had her first arts and craft show appearance (she does a lot of amazing non-superhero pieces) in Lawrence, KS with plans for future shows. For now, she’s selling almost exclusively online but I think it’s time for her superhero and sci-fi work to get unveiled to a larger audience. Kayla creates all of these paintings by hand per special order, so all of them are originals. There are no prints and every piece is unique. 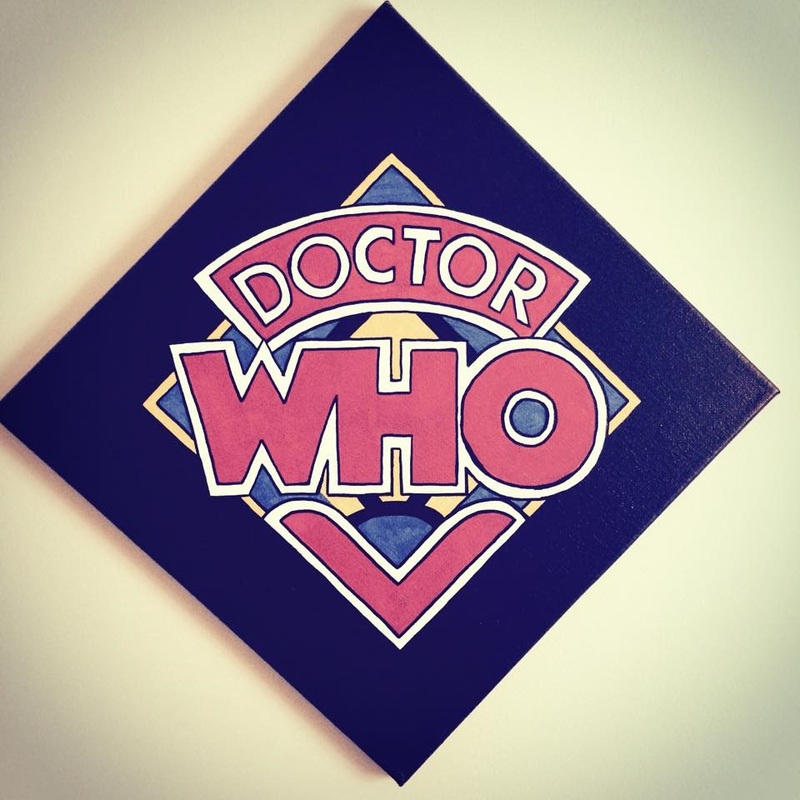 They come on canvas and are ready to hang or frame. She can take credit or debit cards and will work with you on shipping. I’ve posted several examples of her work currently for sale. 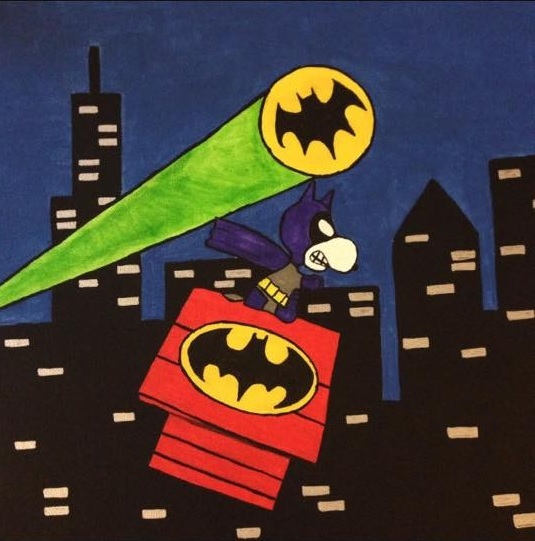 The Avengers piece comes 12 x 24 for $35, DC and Marvel is 16 x 20 for $35, Classic Doctor Who is 12 x 12 for $25, A Superhero Sleeps Here (perfect for hanging above a young superhero or superheroines bed) is 12 x 36 for $50, and Bat Snoopy is 12 x 12 for $25. Got an idea for something else? Let her know as she’s always open to new ideas. And yes, I’m going to get her started down the classic monster path very soon! Kayla currently gets her ideas off of the internet but there’s no denying she’s incredibly talented and I think she’s just getting started. She does not get her art genes from me but we have several artists in our family on both sides. She loves to be creative and 100% of her proceeds right now are going to her upcoming wedding in November (although how Monster Movie Kid has a daughter old enough to get married remains a mystery). Please take a moment to visit her Facebook page or reach out via email at Kaylalatta2015@gmail.com and let her know that Monster Movie Kid sent you. Be sure to share it with your spouse, significant other or family members too because she has something for everyone! And, while you’re at it, be sure to wish her a happy birthday as the daughter of Monster Movie Kid turns 23 very soon! 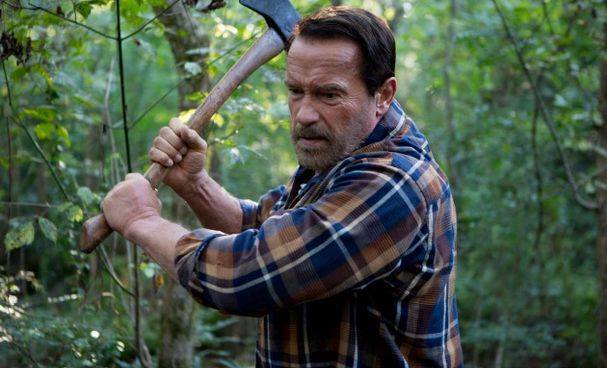 There once was a time when film geeks everywhere would have jumped for joy at the thought of Arnold Schwarzenegger starring in a zombie movie. However, with his glory days in cinema long gone and the zombie genre getting more and more tired with each cry for brains, Maggie (2015) is seemingly coming in under the radar of most horror fans. So, just how does the former (and soon-to-be-again) terminator fare in the land of the living dead? Maggie is currently making the rounds in limited first-run in theaters while also being available through the various on-demand sources. Arnold’s grand return to the cinema post governator days has been mostly forgettable, so his name doesn’t necessarily pack the heat it once did. And to be honest, he really is secondary to Abigail Breslin (Zombieland), the real star of the film. Breslin is young Maggie Vogel, who is seen in the opening moments of the movie calling her dad Wade (Arnold Schwarzenegger) while in a city with a curfew. Society is beginning to fall apart due to the Necroambulist virus, which essentially turns victims into zombies. There is no cure and, once infected, you are taken to hospitals with others to die. Wade arrives at the hospital to get Maggie, who has been bitten on the arm. The doctor allows Wade to take his daughter home with the agreement that once she starts to change, he has to turn her in. From here, the movie progresses as it focuses on Maggie’s slow decline and transformation, and the impact it has on her family, primarily her father. We question whether Wade will be able to do the right thing or if he succumbs to his own desires to keep his daughter safe for as long as possible. Schwarzenegger gives us a very subtle and, at times, very emotional performance. You can see his anguish as he tries to hold on to what his daughter used to be. Unfortunately, some of these scenes expose his lack of acting depth. He has very little to really do in the film but overall, he does well with what he has. Breslin’s performance is what saves the movie from mediocrity as you can really feel her pain as she slowly witnesses her world slip away. The scenes with her friend are especially hard-hitting as we witness the human side of becoming a zombie, something usually dismissed in movies, although occasionally discussed on The Walking Dead. While it would have been interesting to see Chloe Grace-Moretz as Maggie, who was rumored to have been the originally choice, Breslin still manages to steal the show. Despite the interesting premise and well-known main star, Maggie suffers from a lack of anything really exciting to watch. There are a couple of the usual zombie scenes but they are intended to be secondary to the main story. Unfortunately, there simply isn’t enough story here to make a 95 minute movie. This would have worked so much better as a short film or part of an anthology. As it is, the film tends to be a little dull at times. 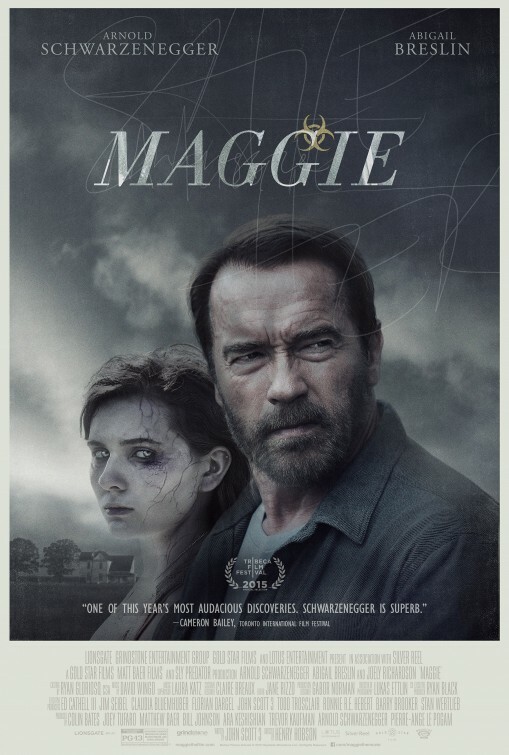 I’ll recommend Maggie for something different, especially if you are a fan of zombie movies or Arnold, who really does more with this role than we should expect at this point of his career. However, you might want to hold off until you can catch this as a cheap rental or on a late night TV viewing. Check out the trailer and decide for yourself. It’s not bad, but leaves you either wanting more of a story or less of a running time. Monster Movie Kid will be quiet for a few weeks as my wife and I move into a new townhome in another part of Kansas City. Once the dust settles, it will be time to revisit my theme month ideas that have been placed on hold for the last several months. Thank you for your patience! Fear not true believers, there is some fun monster goodness coming up this summer! Back in January 2014, I revisited the original Mad Max trilogy with a first-time viewing on Blu-ray. While I enjoy the now-simplistic approach of Mad Max (1979), my favorite of the series has always been The Road Warrior aka Mad Max 2 (1981). My least favorite is still Mad Max Beyond Thunderdome (1985). Now, I usually do not review blockbuster movies upon their release here at Monster Movie Kid. 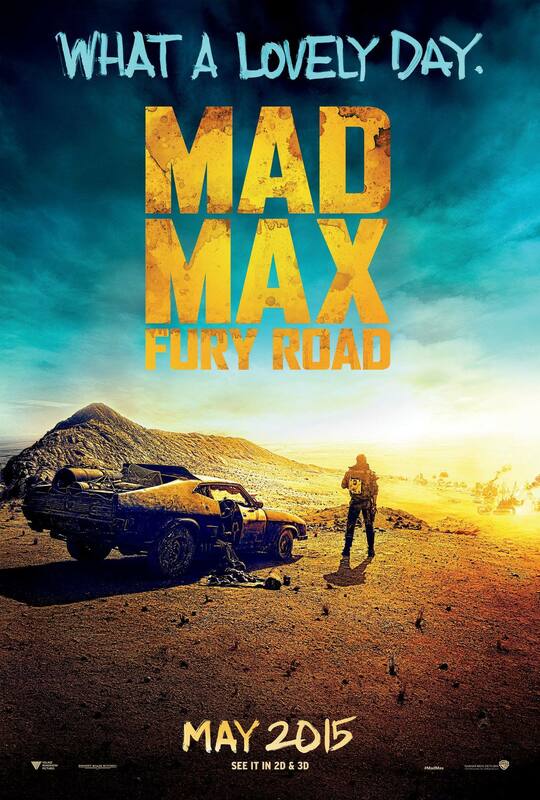 However, since I’ve already done the first three films, it would be wrong not to take a look at the fourth film in the franchise, Mad Max: Fury Road (2015). So just how is Max Rockatansky doing in this modern CGI and shaky cam world? For starters, the original trilogy’s director George Miller has returned to the fold. I’ll admit, I was worried going in considering it’s been 30 years and he hasn’t directed anything remotely similar in that time. Would he still have what it takes to immerse us into that post-apocalyptic world? In a quick word…yes! In fact, his old school approach proves he is just the chef that was needed to whip up a recipe of madness and chaos that is Mad Max: Fury Road. While I can enjoy a well-made CGI film, you simply can’t beat traditional special effects in some cases and, according to Miller himself, 90% of this film is old school practical special effects. There are also over 150 stunt performers gracing the screen. You won’t get lost watching the action on the screen because there is no shaky cam. In fact, Miller slows down the frame rate at times to accommodate what you see on screen. The effect is a bit jarring at times but something I can very easily deal with if it means I can actually understand what is going on and I’m not getting seasick from the shakiness of the camera. The production of the movie started back in 2001 but was delayed due the events of 9-11. Mel Gibson was originally supposed to star but he moved on as the film seemingly was never going to be made. Enter Tom Hardy (The Dark Knight Rises, Star Trek: Nemesis) as the new Max. This is one of the best casting decisions I’ve seen in a long time. Hardy nails it as Max and, considering he signed on for four films, we’ll be seeing more of him in the future. If you’re looking for an expansive plot to Mad Max: Fury Road, you need to move on right now. However, if you’re looking for a non-stop two hour thrill ride featuring bizarre characters, crazy vehicles and a lot of mind-blowing effects, then you’re in the right place. The movie is a mild reboot of the original franchise, although it could easily fit in somewhere between The Road Warrior and Mad Max Beyond Thunderdome. Society has collapsed after an apocalyptic event. Max is roaming the desert wasteland in his Pursuit Special, although it doesn’t quite figure into the film as much as some would have hoped. Max is still mourning the death of his wife and child. However, the biggest difference that supports the fact that the film is more a reboot than a remake is that Max’s dead son is now a dead adolescent daughter. It’s a minor change but enough to separate it from the first three films. And if you’re going to nitpick every inconsistency or nonsensical moment, you still need to move on. There are plenty of those moments. Sure, they have a seemingly endless supply of gasoline. Where do they get enough food to feed everyone? How did the women survive in the desert after the Green Place became uninhabitable? I could go on but what’s the point. I can easily turn off my brain and simply enjoy movies like this without having to justify why I enjoyed it. If you can’t, I feel sorry for you. Mad Max: Fury Road is pure entertainment. It’s not meant to be a long-lost work from Shakespeare waiting for an Academy Award. Miller has turned up the cinematic heat to an eleven here as the action almost never stops. 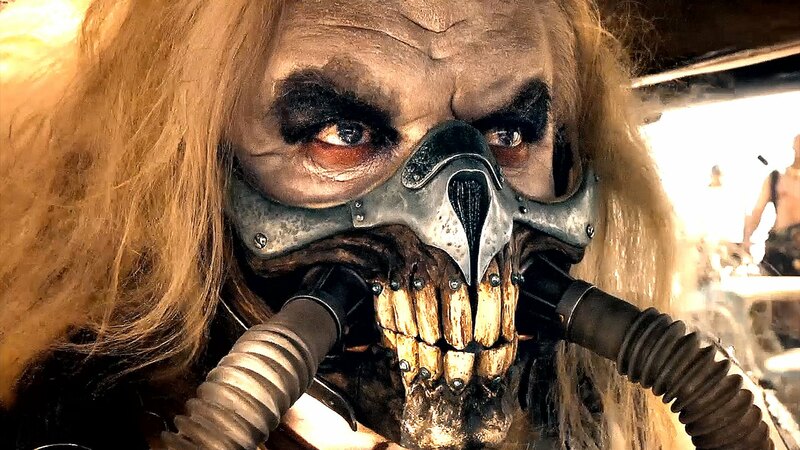 It’s essentially a two hour thrill ride full of crazy characters like our villain Immortan Joe (Hugh Keays-Byrne), our henchman turned good guy Nux (Nicholas Hoult) and our heroine Imperator Furiosa (Charlize Theron, Prometheus, Aeon Flux). If you want plot, it’s simple enough. 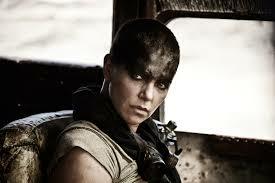 Furiosa uses the War Rig to help five of Immortan Joe’s breeding wives to escape in an effort to rejoin her clan. Joe follows with his War Boys and a captured Max in tow. Madness and chaos follow. That’s about all you need to know. I loved Mad Max: Fury Road. It is one of the most insane action flicks ever made and I enjoyed every moment of it. While The Road Warrior is still my favorite of the franchise, simply because it is a masterpiece, Fury Road far surpasses the ultimately disappointing Mad Max Beyond Thunderdome. I’ll admit, I was kind of hoping to see an older Max in some sort of framing sequence played by Mel Gibson. And I hate how the Pursuit Special was so easily outdone and, ultimately, destroyed. Those minor quibbles aside, I was not disappointed in the least. The franchise has been revived and we now know there is more to come. 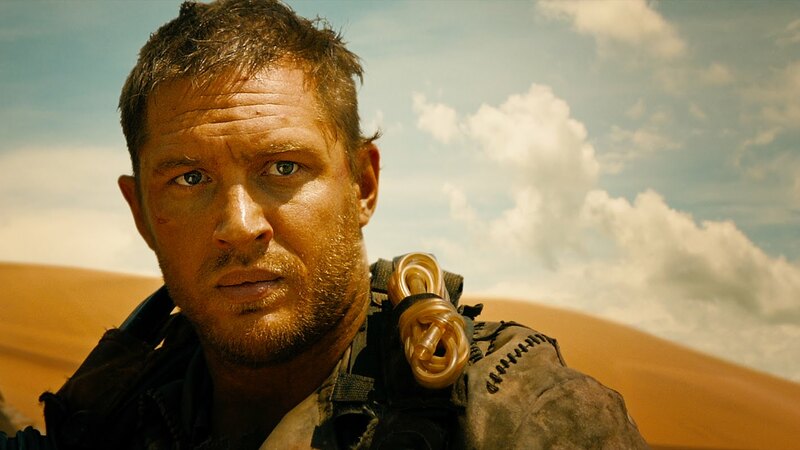 The fifth adventure of Max is set as Mad Max: The Wasteland has apparently been greenlit with Tom Hardy coming back for more. So, while I anxiously wait, do yourself a favor and check out Mad Max: Fury Road. Then, revisit the original franchise to see what the older generation already fell in love more than 30 years ago. Remember a few weeks back when I described the difficulty of being a film collector and discovering something “new”? Well, lightning has struck twice and in the oddest of ways. 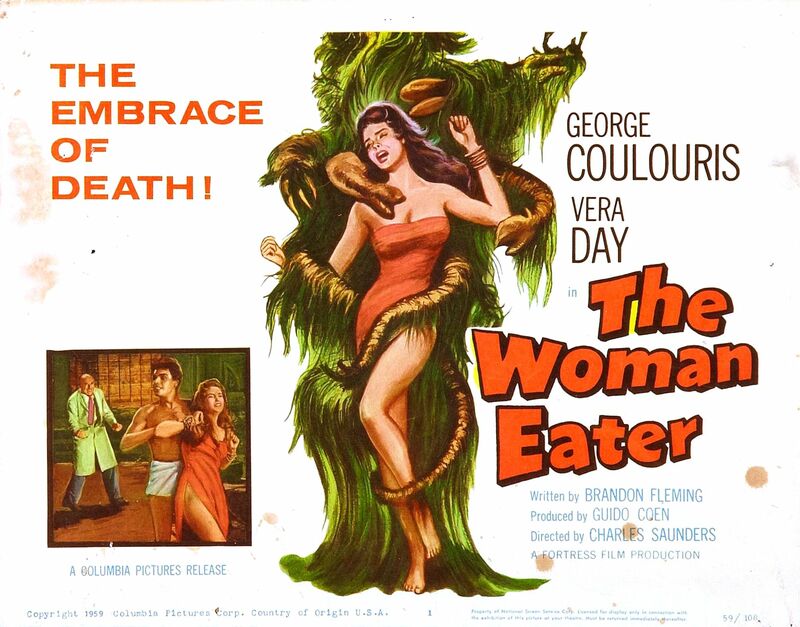 A random conversation between film buffs about horror hosts resulted in the discovery of an old British horror flick called Woman Eater (1958) that is rarely talked about today. Yet, this odd little gem is now in my collection. Some key and familiar elements are present in this film from the start. You have one part mad scientist and one part jungle native god. Add in a man servant and some lovely but unsuspecting female victims and you have Woman Eater. Our tale begins with Dr. James Moran (George Coulouris, Pathfinders to Mars, Tarzan and the Lost Safari) heading off into the Amazon jungle in search of the secrets to bringing the dead back to life. He discovers a jungle tribe sacrificing a lovely native girl into the clutches of a flesh-eating man-sized plant. After he captures the plant and brings it back home to England, he begins his experiments for the life-giving fluid from the plant. Of course, he now has a man servant banging on the drums and hypnotizing beautiful female victims, luring them into the plant’s open branches. Can the local police find out why women are disappearing in time? I really liked Woman Eater as I am a sucker for cheesy man-eating plants. The English background made for something different and enhanced the movie for me. Of course, having the attractive Vera Day (Quatermass 2, The Haunted Strangler) grace the screen didn’t hurt. Yes, the man-eating plant was goofy looking but it didn’t detract from the fun of this flick. And yes, the film obviously had a very low budget. That said, the film moves along at a fairly brisk pace except for about mid-way when we had the obligatory romantic storyline thrown in for good measure. It doesn’t hurt the film too much and is necessary to help round things out. Dr. Moran never really goes too far into the stereotypical mad scientist role until the end when he proclaims his love for Sally. Nothing like unrequited love to send a madman over the edge. And I wonder, did this flick in any way inspire The Little Shop of Horrors (1960)? Special thanks to Joel Sanderson over at The Basement Sublet of Horror for this one. 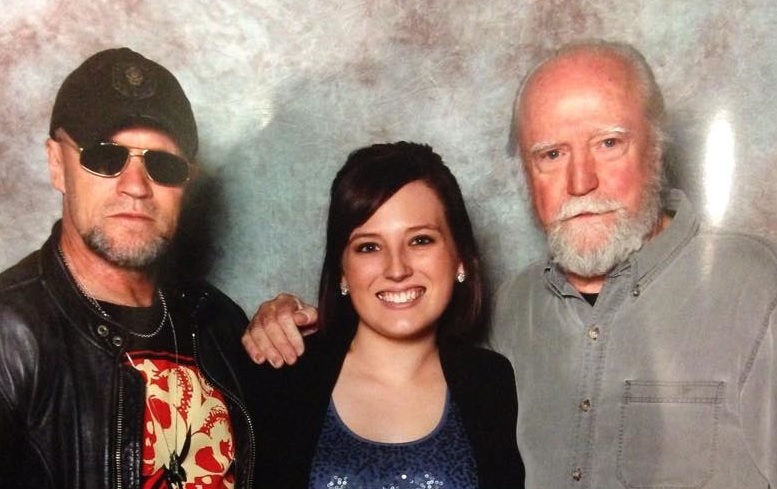 Several years back, he had the opportunity to meet a childhood favorite of mine in Crematia Mortem. Crematia, who is in reality Roberta Solomon, was my horror hostess growing up. From 1981 to 1988, Crematia offered up horror flicks every Saturday night on Creature Feature. Joel had a few copies of the old show in his collection and this rare flick was on one of them. In fact, it aired in 1985 as Crematia was giving away tickets to see a new horror movie called Fright Night for a special screening at the old Bannister Mall here in Kansas City. I have some other episodes of Creature Feature along with Nightmare starring The Host, so you can expect some other cool and random reviews in the forthcoming weeks. Finding a copy of Woman Eater for your collection isn’t going to be too tough. There is a print on YouTube but it has been edited and is way too dark. However, Image Entertainment released it on DVD a few years back and it’s even on Amazon Prime. Watch the trailer and decide for yourself. That said, I was pleasantly surprised and I recommend it for a fun late night creature feature. 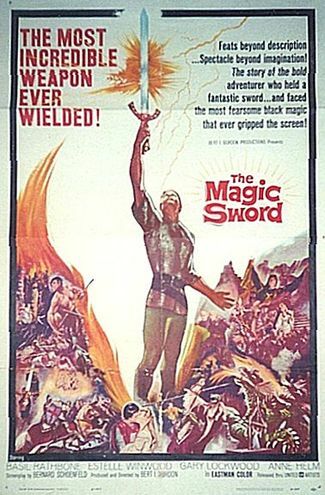 The Magic Sword (1962) is an Uneven Fantasy Flick from Mister B.I.G. There’s no denying that legendary film director Bert I. Gordon has his followers. Many of his films are beloved classics amongst the sci-fi and horror community. Such titles as The Amazing Colossal Man, The Cyclops and Village of the Giants always get the proper amount of love. However, it’s no coincidence that many of his films also ended up on Mystery Science Theater 3000. It’s a fine balancing act between good and bad when it comes to the films of Mister B.I.G. and there are times that balance is not always kept. Such is the case with The Magic Sword (1962). Now, some people really love this film. Heck, even Joel and Servo over at MST3K thought it was pretty good. So, I’ll be up front and say that I know I’m going to upset some of you by stating I didn’t particularly care for The Magic Sword. The reasons are actually not because of the overall film itself. I thought it looked great for a low-budget fantasy and the story works rather well. The main problem I had was with the miscasting of Gary Lockwood and the phoned-in performance of Basil Rathbone. But, before I digress with those points, just what is The Magic Sword about? 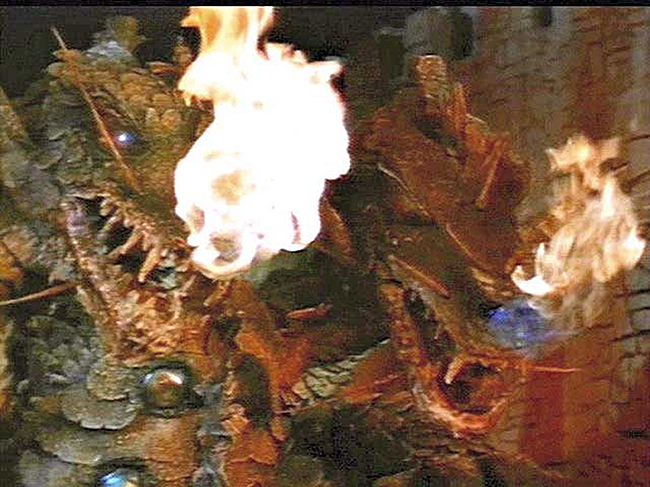 It’s actually loosely based on medieval legend of Saint George and the Dragon. Images of George slaying a dragon have been passed down for generations in tall tales and historical artwork. The general idea of a dashing young knight off to slay the dragon and win the heart of a princess is a basic fantasy storyline. Here, we have young George (Gary Lockwood, 2001: A Space Odyssey) who is interested in the lovely Princess Helene (Anne Helm). However, since George has been raised by an old sorceress (Estelle Winwood), he must deem himself worthy of her hand. But before he can do so, she is kidnapped by the wizard Lodac (Basil Rathbone, The Adventures of Sherlock Holmes, Son of Frankenstein). Lodac will feed her to a dragon unless someone comes to save her. 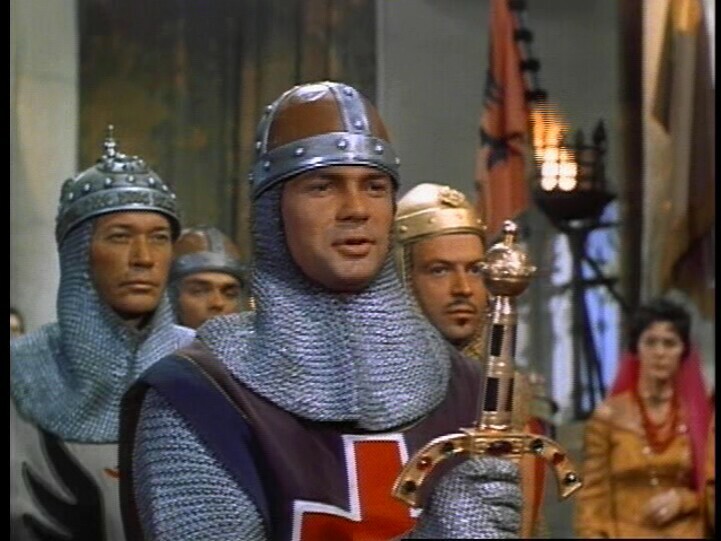 Young George tricks his foster mother and takes a magical sword, a horse, a suit of armor and six magically frozen knights with him to the king. But the evil Sir Branton (Liam Sullivan) is not pleased as he wished to save the princess. But, could there be more intrigue behind this simple kidnapping? On the surface, I did enjoy the overall fun factor of the film. With an obviously limited budget, Mister B.I.G. delivered what was essentially a fun children’s fantasy matinee flick. We even get a cameo appearance from TVs Vampira Maila Nurmi as both an old hag and a sorceress. 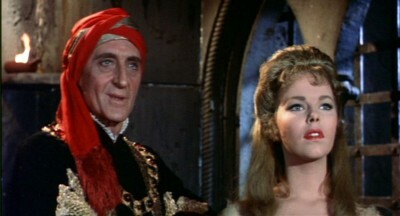 However, as mentioned earlier, my biggest two problems with the film are with Lockwood and Rathbone. I’ve never been a big fan of Gary Lockwood’s acting performances. They always come across as too wooden for me. I know that it is all a matter of taste. Many people hate Lee Majors for the same reason, yet I always enjoy his films and TV roles. Unfortunately, I couldn’t get beyond how much I felt another young actor could have done so much more with the role. Then, we have Mr. Rathbone. I’ll admit anytime he is on screen, he usually brings the story to life. However, in this film, I just feel like he was walking through the role. I always visualize him as the strong lead in the Sherlock Holmes films or as the son of Dr. Frankenstein, so that’s probably a big problem right there. The Magic Sword is a film I wish I had seen as a kid. I would probably have fond memories of it and those would help me get past my dislike for Gary Lockwood. That said, the big kid in me did enjoy the basic fantasy aspects of the story. On that note alone, I recommend it for a fun afternoon viewing. The film is readily available on DVD as well as YouTube. Check out the trailer to see how they dubbed Gary Lockwood’s voice. Then, watch the MST3K version while shopping for the real movie. Don’t let my harsh comments towards Gary Lockwood sway you away as you should definitely judge this movie for yourself.